Some people have a sweet tooth. I, however, have a more savory addiction. I love chips - all kinds of chips. I am always on the lookout for a better quality chip, one that's a little more guilt free, you know, healthy (well, as healthy as a chip can be). 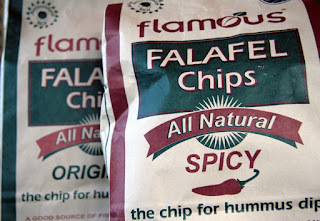 My latest chip discovery is Flamous Falafel Chips. We stumbled upon a huge display of them at our local independent grocery store and just had to give them a try. 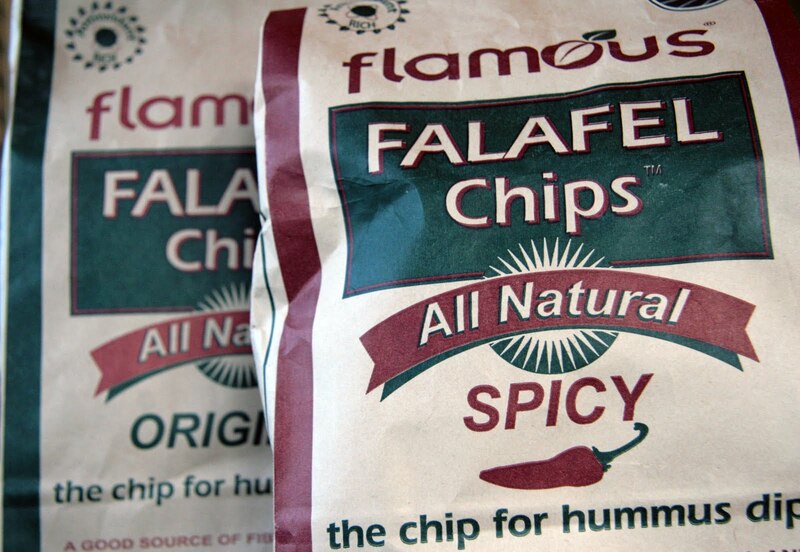 We love falafel and the thought of that flavor in a chip was intriguing. So, how did they taste? Awesome! 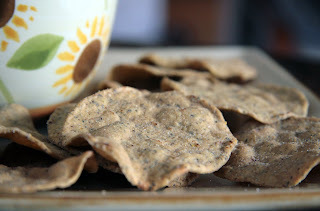 They have a great texture and really do taste like falafel. The taste isn't reminiscent of falafel, it's exactly like it. They're crunchy and hearty but not heavy, which means they hold up really well with dips but don't weigh you down. Original was good but then we tried the spicy flavor. We liked them even more. The spicy flavor packs a surprising heat. It doesn't hit you up front, it's more of a slow burn in the back of your mouth. Beyond the fact they taste great, there are a host of other reasons to love them: They are certified organic, verified non-gmo, vegan, gluten-free, cholesterol free and trans fat free. In fact, they contain over 20 organic vegetables, herbs, spices and legumes and are high in fi ber and protein. A tasty, healthy, sustainable chip - How can you not like that? However, one cannot live on chips alone. That's why there's dip. Hummus would be the perfect accompaniment but I didn't have any hummus or ingredients to make hummus so I decided to make a yogurt dip. In a medium bowl add the yogurt. 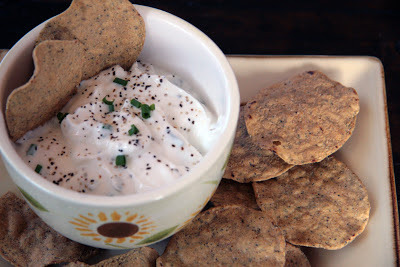 Grate 2-3 cloves of garlic into the yogurt. Add the lemon zest, juice, chives and black pepper. Stir. In full disclosure we ate, we loved, we immediately hopped online and gave Flamous brands a like on Facebook. That's when they checked out this blog and asked me to write a review. I was already a fan so I figured why not. I received two bags of chips from Flamous Falafel Chips to facilitate this review. I received no other compensation for this post and the opinions contained herein, are my own and reflect my experience with the products. Your own may differ.